As you know I went on a Europe trip with my hubby a few weeks ago. Because he was born in Holland we went to visit his family that I had never met. We stayed with his family for two weeks and had a FABULOUS time! One of my favourite past times in Holland was breakfast time! (I love my food okay!) Breakfast time consisted of the whole family gathered around the dining room table with everything out to choose from. The Dutch don't eat toast (someone managed to find a toaster anyway) so I insisted that I eat bread, as they do, the whole time I was there. They typically eat cheese (lots of cheese), sausage meats and other meats, peanut butter and other spreads or sprinkles on bread for breakfast. Of course you can have cereal or muesli too but that was kind of boring for me. Then you always had a good strong coffee with coffee milk (not normal milk) in it. 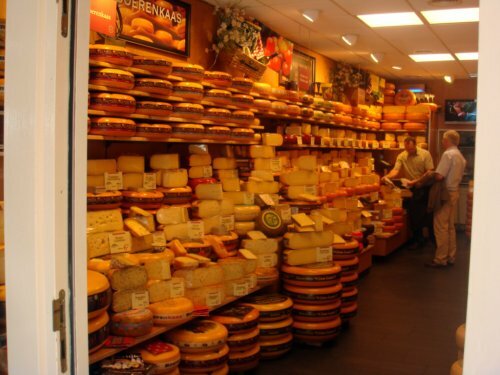 The cheese was SO CHEAP in Holland, we practically ate it for breakfast, lunch and dinner! The sprinkles I was talking about earlier, they were my favourite! 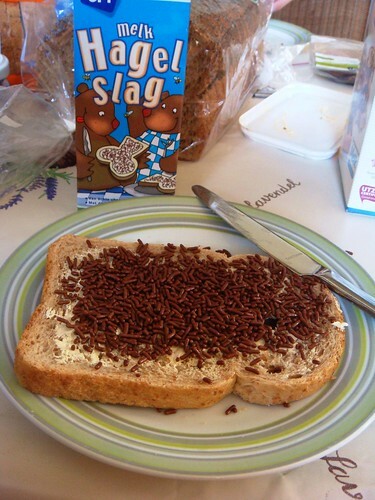 There is Hagel Slag which is pretty much like chocolate hail except WAY yummier. To me it tasted like Easter egg chocolate! Yum! Then there is bosvruchten hagel which is a coloured, flavoured sprinkle. This was quite sweet so I didn't eat it too much, it reminded me of ground up fruit loops. 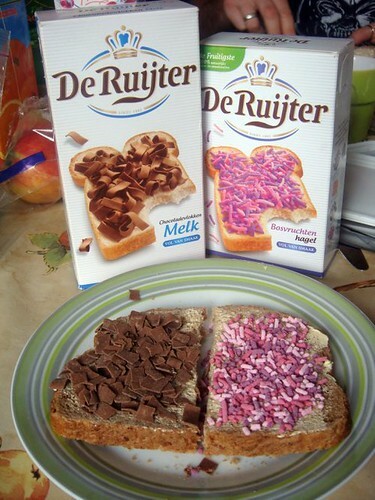 Another chocolatey breakfast sprinkle they had was called Chocoladen Vlokken which is pretty much just chocolate flakes, these come in dark, milk and white too which is good! Chocolate Flakes and Ground up Fruit Loops! Yum! The last kind of breakfast sprinkle they have is called Muisjes, this one is coloured aniseed sprinkles, I was a little disappointed when we bought it because I didn't know it was aniseed flavoured and I don't like it! 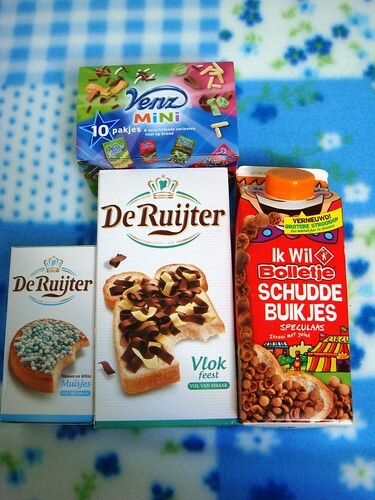 We also found some fun breakfast sprinkles, there are these Dutch windmill cookies (you can even get them here) Well they made tiny ones of them that you sprinkle on your bread! Cute and yummy!